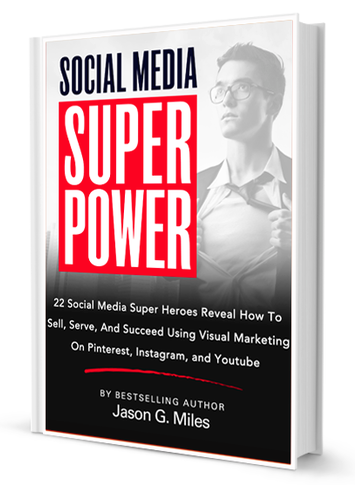 Have you ever thought about the difference between Pinterest & the other social media sites – as it relates to Public Relations? 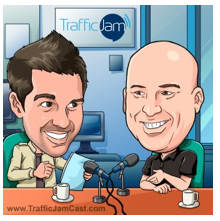 There are two types of emergencies – A “rapid onset emergency” is one that, as the name suggests, comes about rapidly. A “Slow onset emergency” is one that develops over a much more gradual timeframe. 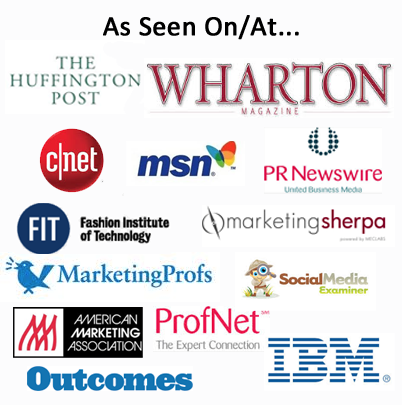 So as a PR person, the question we wonder about is how best would we use Twitter, Facebook, Pinterest, Youtube or Instagram in these types of situations. 1. Not Real-Time Focused: Whereas Twitter, Facebook & Instagram are built for real-time sharing, Pinterest is not. 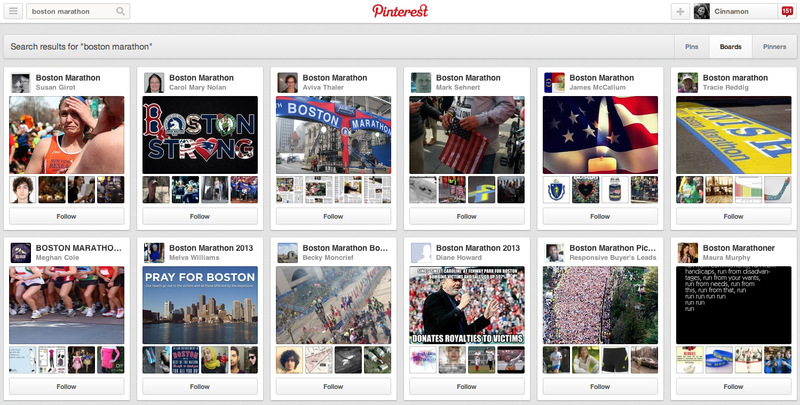 Most users pinning items in Pinterest related to the Boston event are items like “Pray For Boston” type memes – not minute by minute accounts of the situation. 2. Slow Search Algorithm Speed: In Twitter the Hashtag “BostonMarathon” went from something like 2,600 mentions on Twitter to over 288,000 (per topsy.com) almost immediately. And although you can search hashtags in Pinterest, when you search for that Hashtag in Pinterest (less than 24 hours after the bombing) there are no images presented associated with the event even though they’ve been uploaded. Several days later that was still true. Their search algorithm just isn’t refreshed rapidly enough (or something – I’m not a hacker so I don’t know exactly how to express this, but I know it’s true). 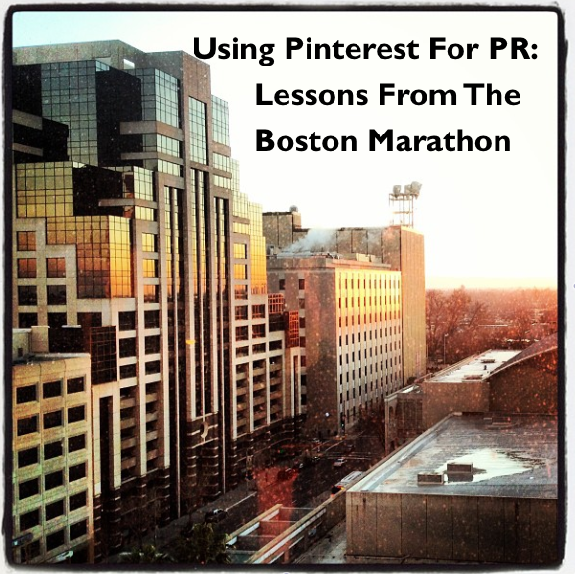 PR professionals should consider how Pinterest can be integrated with their work. 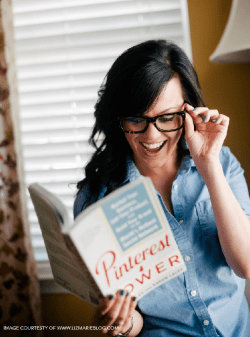 If you’re in the business of providing information and resources as emergencies occur – then Pinterest should play a part in your media mix.